The Community Crime Prevention Fund supports local community crime prevention initiatives, involving or supported by the police and the community working together on projects to address identified crime prevention priorities. 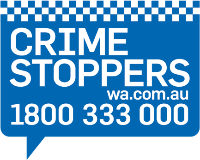 The Community Crime Prevention Fund allocates grant funding of up to $25,000, via advertised application-based funding rounds. CCTV projects are no longer eligible under the Community Crime Prevention Fund. The State Graffiti Fund represents a significant commitment by State Government through the Tough on Graffiti Strategy 2015-2017 (the Strategy), to address graffiti vandalism within our communities. Graffiti vandalism is an illegal act under the Graffiti Vandalism Act 2016. The State Graffiti Fund will support projects that increase the capacity of eligible organisations to reduce the level of graffiti incidents.